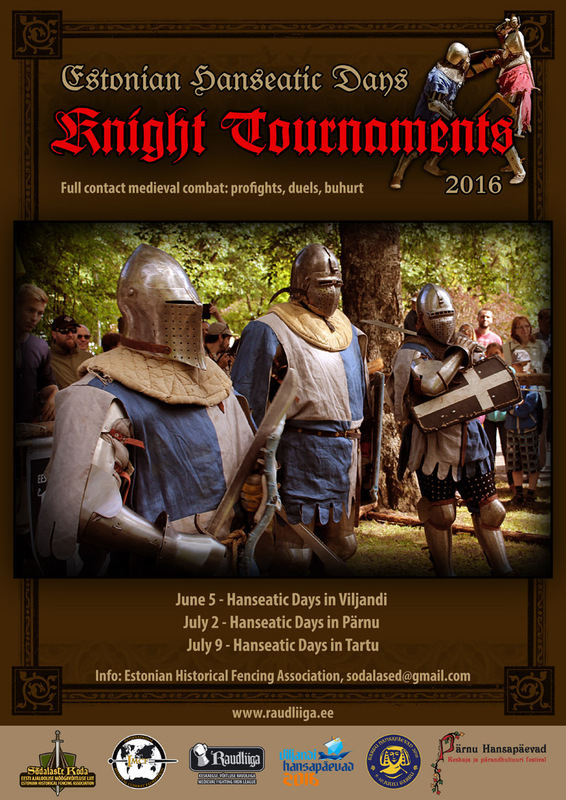 XII Pärnu Hanseatic Days Knight Tournament was held on 2017 AD. 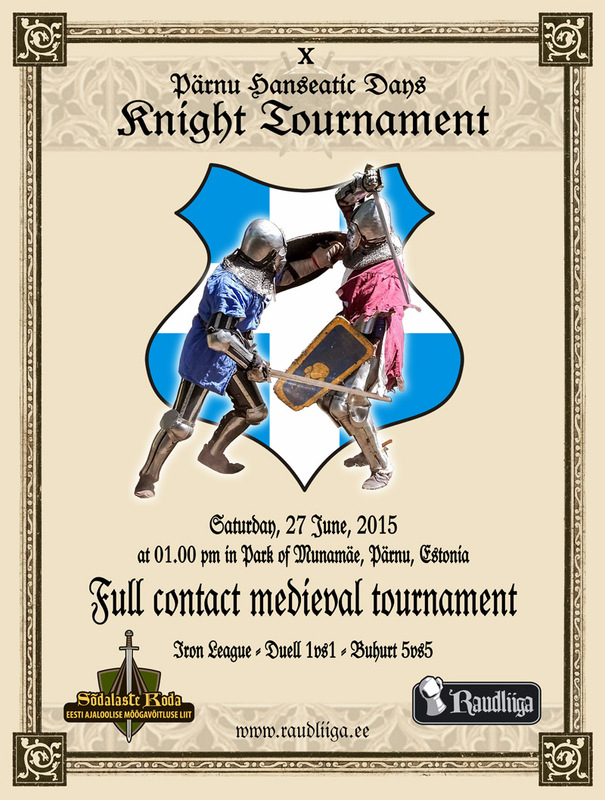 Despite the weather and smaller number of participants than usual, the event turned out fine. The highlight of the event turned out to be the Iron League welterweight match between Maksim Sidnev a.k.a. 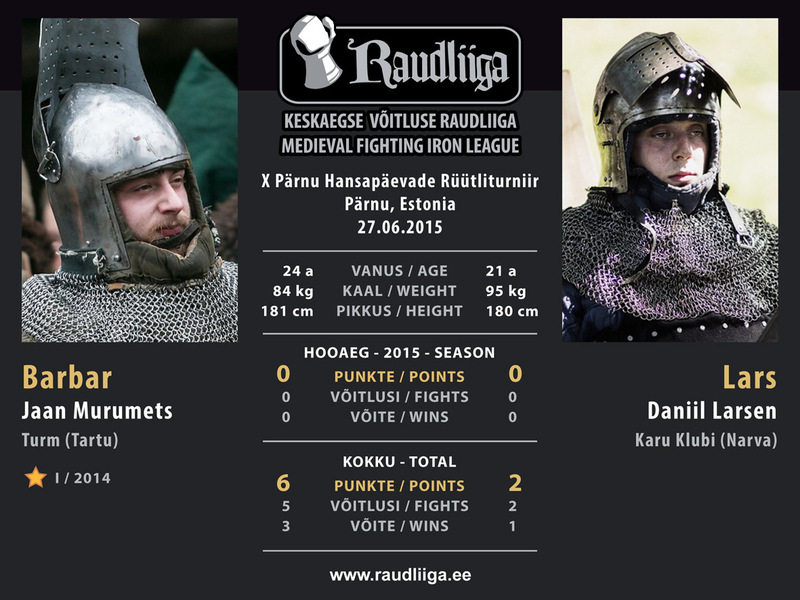 Skeggolf (Valhalla, Tallinn, 60 kg) and Tommi Havo (Medieval Fight Club, Lappeenranta, 65 kg). 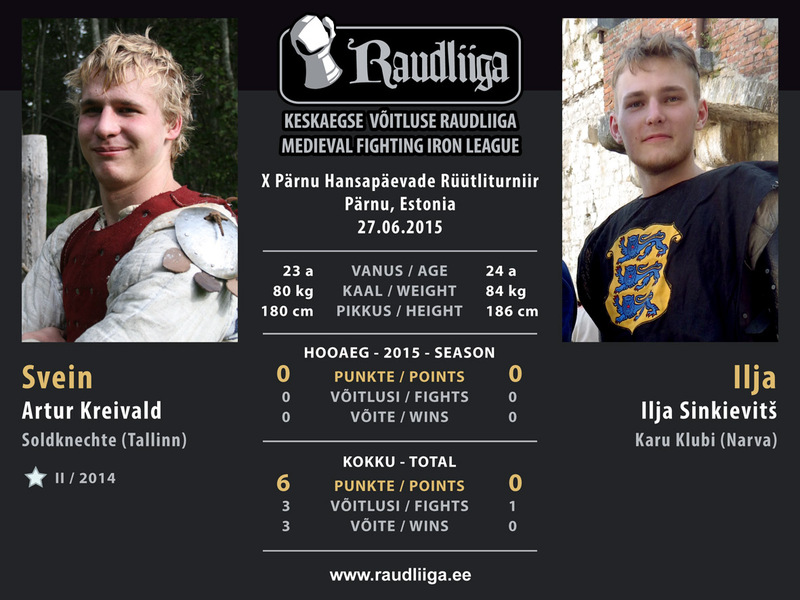 The fighters of such body weight have trouble finding opponents of their own weight category, so, Tommi Havo, who had not participated in Iron League before, traveled to Estonia specifically for this match. The fighters were both fast and high-octane, not showing any signs of the usual heavyweight hugging fest. After the third round the difference in the points was smaller than the difference in the corner judges’ scores – and a fourth round was deemed to be the most fitting course to break the near-tie. After that round the score was still even. 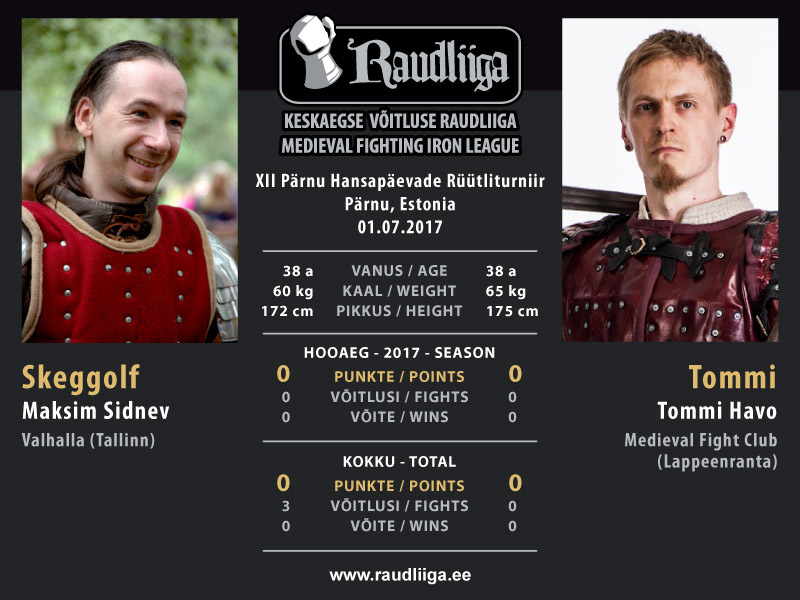 After the fifth round the victory was given to Skeggolf, but the result was changed favoring Tommi after waching over the video recordings. 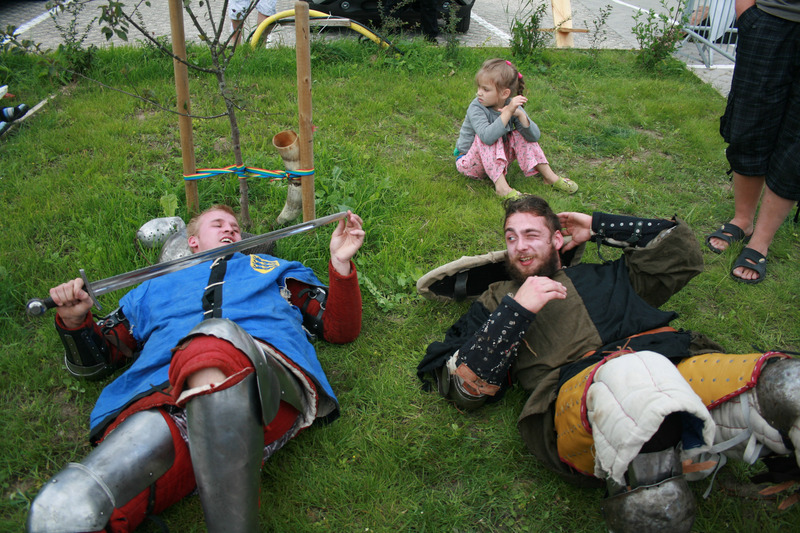 However, for all effects and purposes, both fighters were equally matched. It was the first time in history that an Iron League match has ever reached a fifth round. 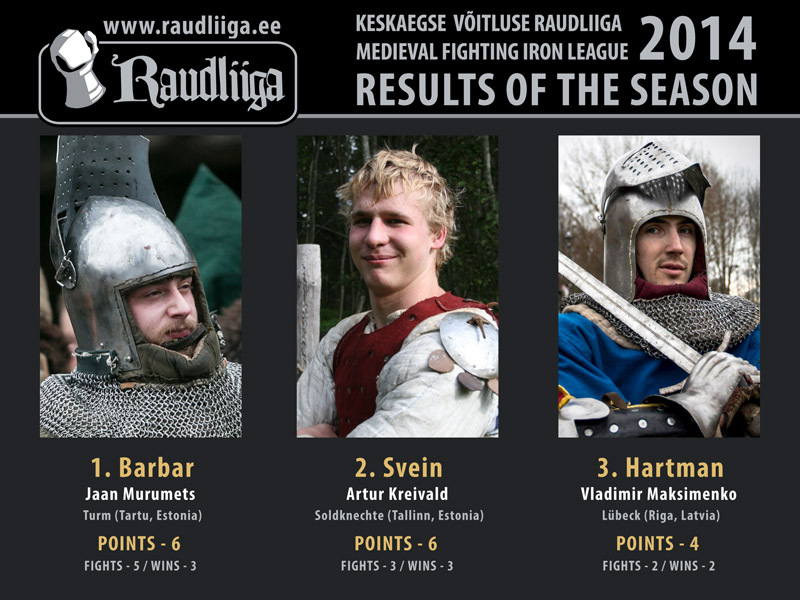 The second match was held between the overall Iron League rating leader Jaan Murumets a.k.a. 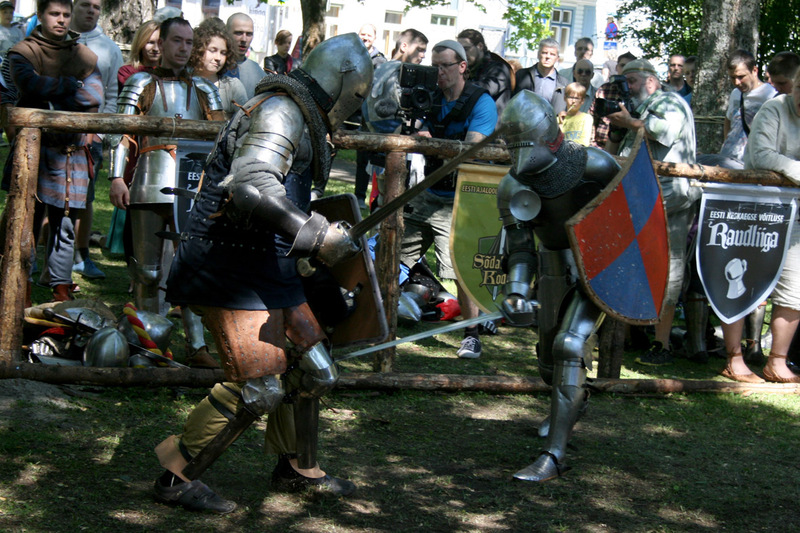 Barbar (Turm, Tartu, 83 kg) and Julian Rizov (Komturia, Riga, 84 kg). 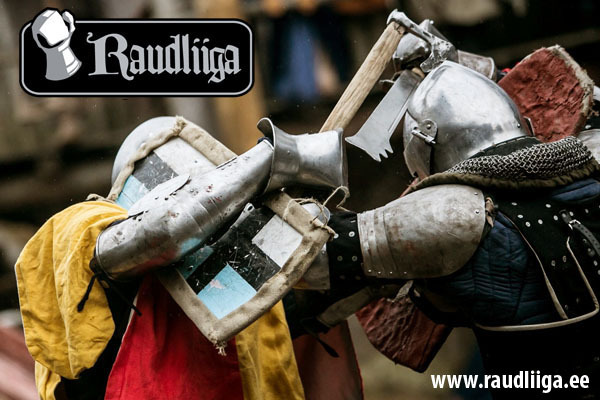 However, Barbar decided to “warm up” to the fight by participating in the sword and shield tournament preceding the Iron League match – and as such, the match ended with his utter defeat, the point score 47:18 favoring the Latvian. 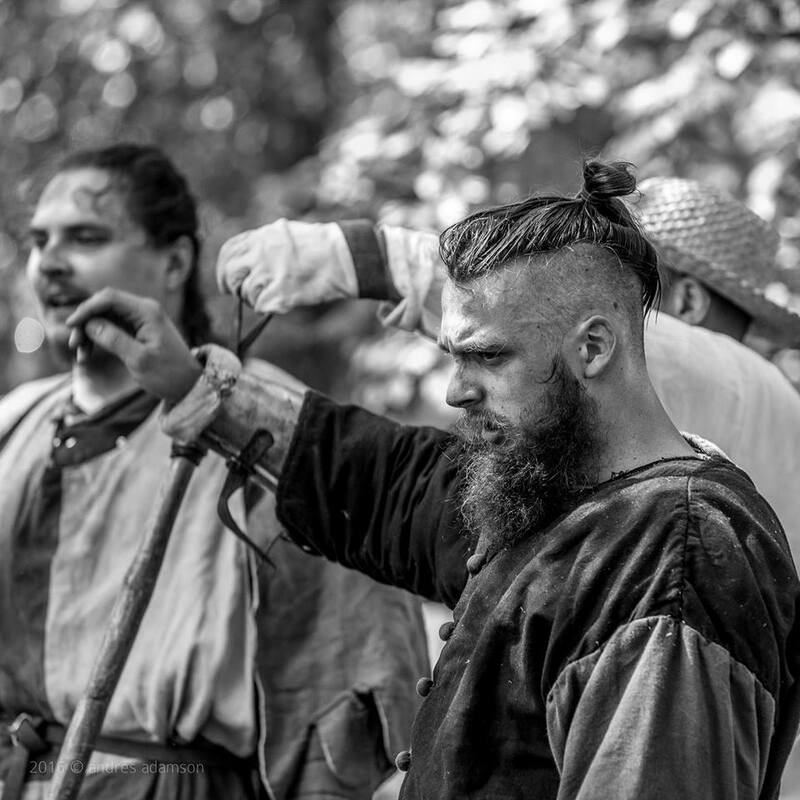 That said, Barbar won the first place in the duels and was awarded with a sword made in Ukraine. 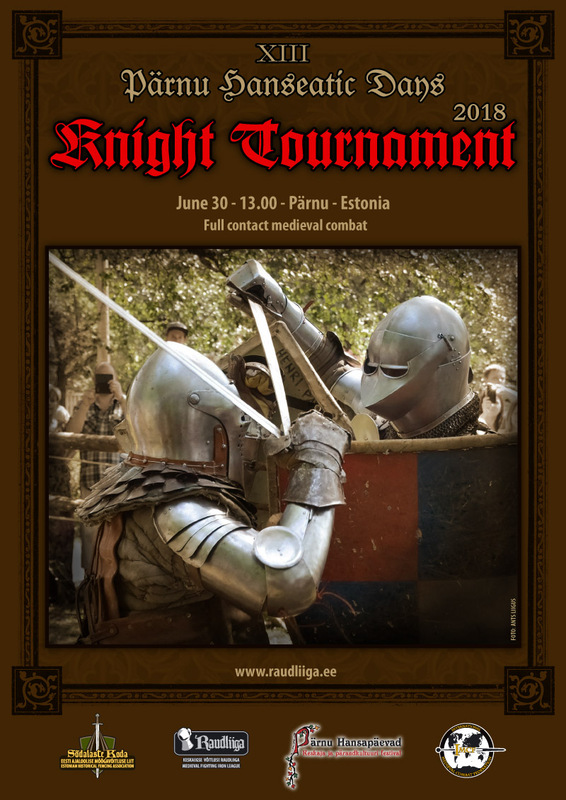 On 27 June 2015, during the X Pärnu Hanseatic Days Knight Tournament, Daniil Larsen a.k.a. 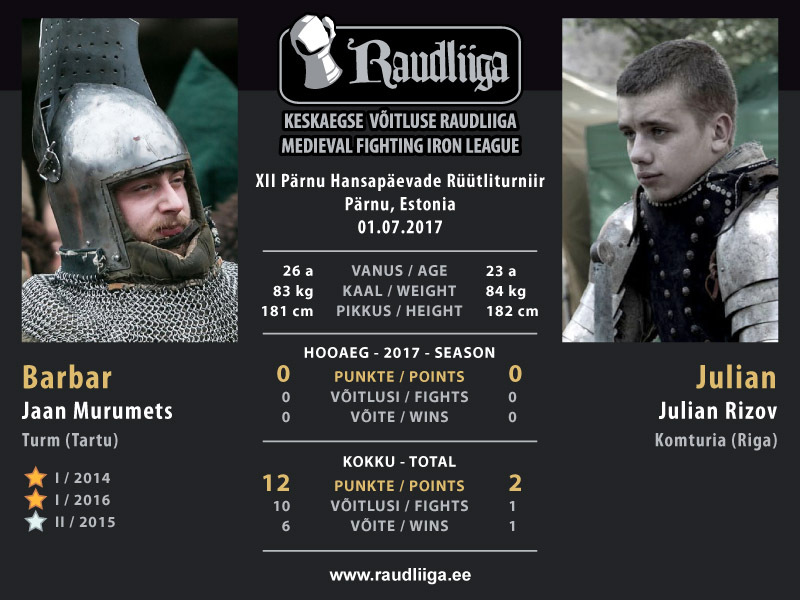 Lars (Karu klubi, Narva) defeated Jaan Murumets a.k.a. Barbar in an Iron League profight match with the final score of 47:30. 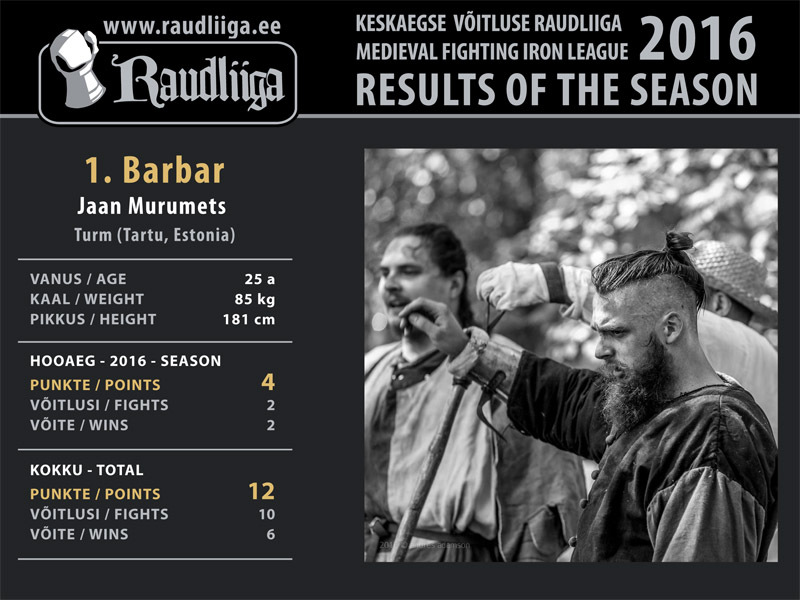 Murumets was the Iron League profight champion in the season of 2014. 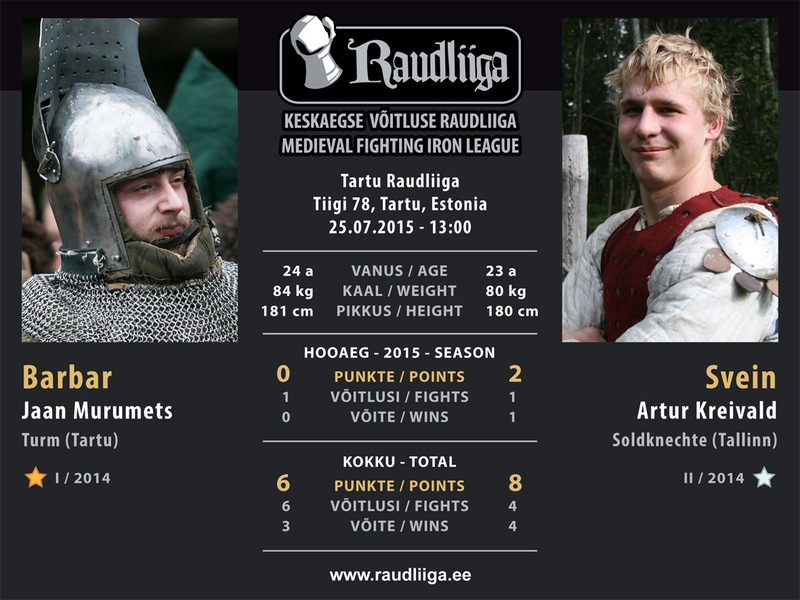 In the second Iron League profight match, Artur Kreivald a.k.a. 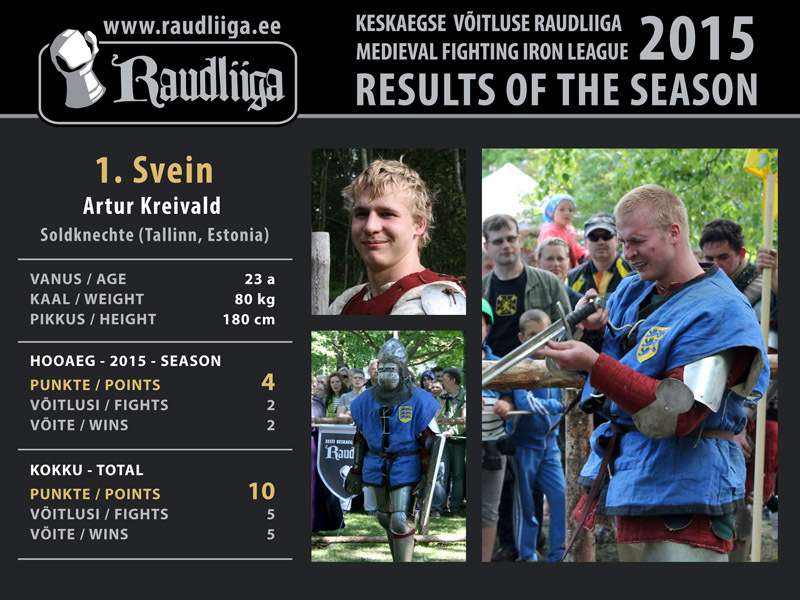 Svein (Soldknechte, Tallinn), the runner up in the previous season of Iron League, defeated Ilja Sinkievitš (Karu Klubi, Narva) with a technical knockout. 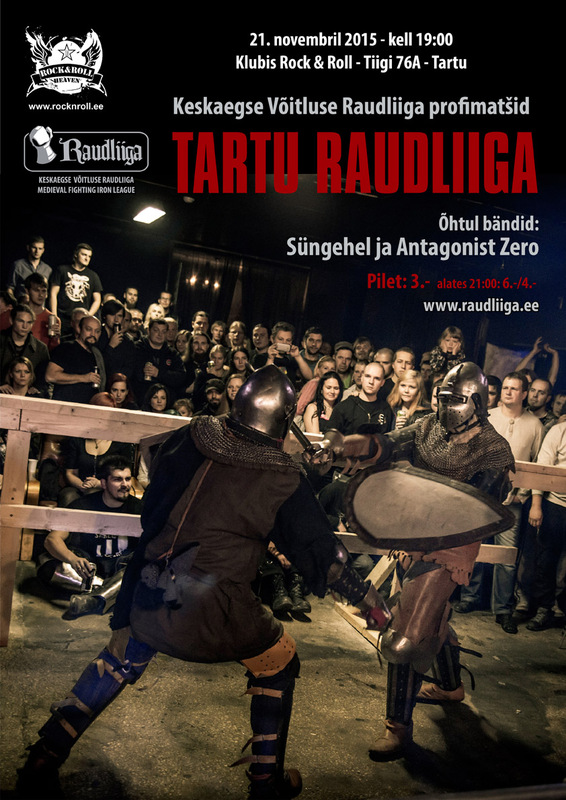 The winner in the duel with sword and shield category was Toomas Kalja (Turm, Tartu). 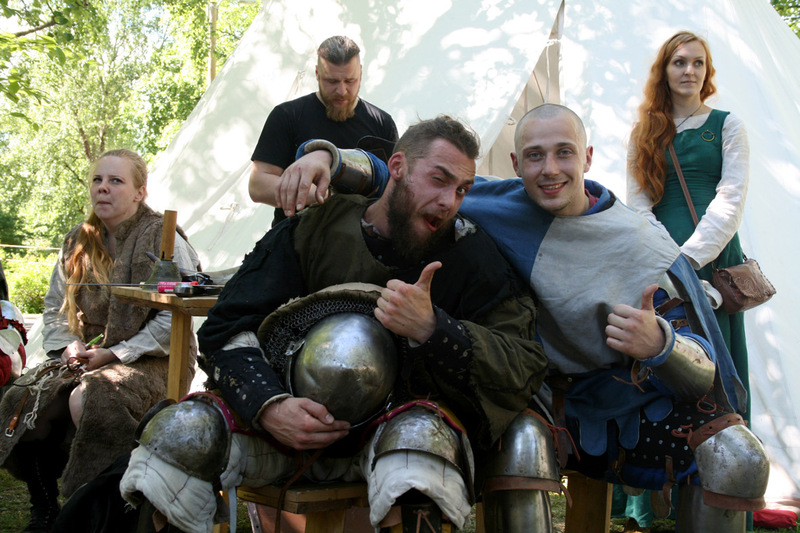 Aleksei Sosnovski (Valhalla, Tallinn) took the second place, while Maksim Sidnev a.k.a. Skeggolf (Valhalla, Tallinn) came in third. 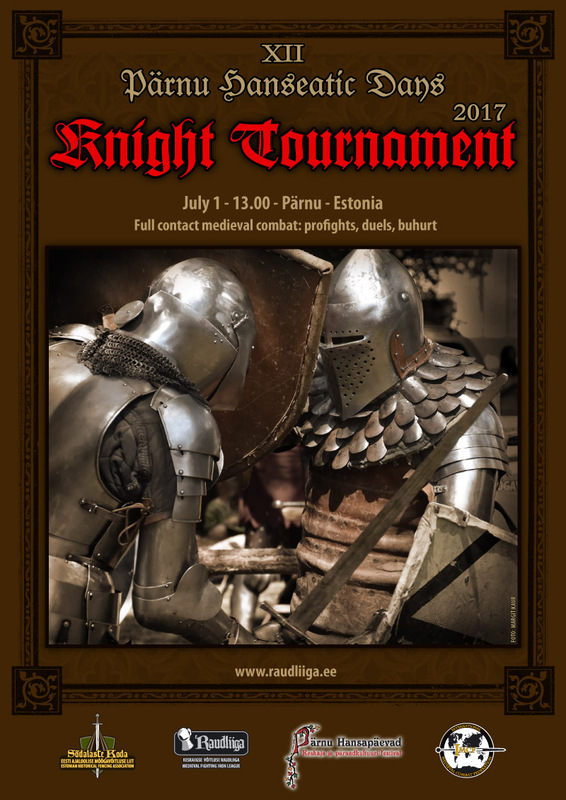 In the buhurt 3vs3 category, team Karu Klubi (Narva) met team Sõdalaste Koda (Soldknechte, Turm, Rampant Unicorns HMB). The match was won by Karu Klubi with the final score of 2:0. 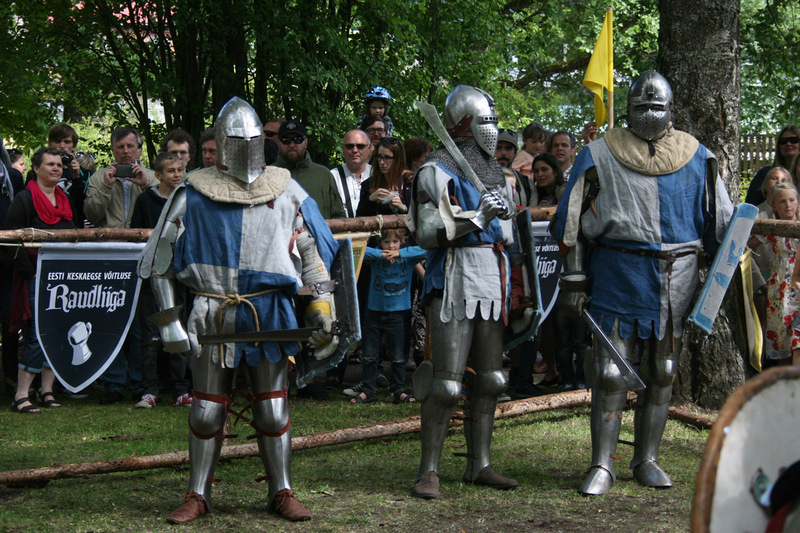 The championship in Pärnu hosted 15 fighters from Estonia and Scotland. 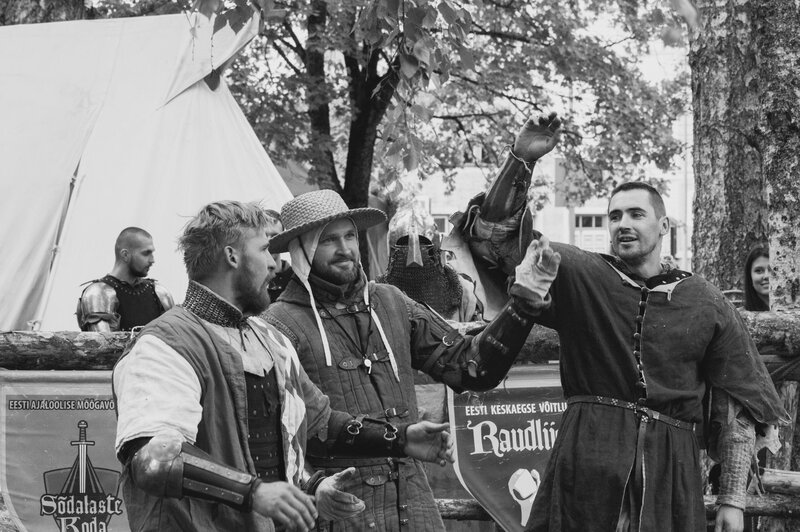 The participating clubs were Karu Klubi (Narva), Rampant Unicorns HMB (Edinburgh), Soldknechte (Tallinn), Turm (Tartu) and Valhalla (Tallinn).